Mythical Dreaming – A filmmaking Journey. I grew up in the Northern Rivers region, between Lismore and Byron. I went to Avondale College after leaving school and ended up working at Avondale School before moving north again and finding work on the Gold Coast. Now I work at a wonderful multi-denominational school called Emmanuel College, and live in a wood cabin in the Gold Coast hinterland where I can run, hike, get excellent coffee… the basics of life. I recognise how blessed I am, because this is pretty much exactly what I envisioned three years ago as I was leaving College. At this point, with the pressure of a full time job, a perfect day is one without 9-5 work. I would lay in the sun, eat a ton of good food, have time to write and not be annoyed at pedestrians crossing too slowly on the sidewalk on my commute home. Recently I read David Foster Wallace’ ‘This is Water’ (which I highly recommend for anybody soon to graduate uni!). It’s about stepping outside of yourself every day, and not viewing the world through your own jaded, perpetually self-oriented lens. Why poetry? What does poetry do to you? I grew up writing totally unreadable love poetry all over my Maths exams. When I was fourteen, I showed a poem that at the time I thought was dramatic and yet subtle (stars, love, boy’s eyes… etcetera) to my favourite teacher. He said that passion often takes from our ability to write without agenda but it gives us life. It was a backhanded compliment, but it stuck with me. A lot of what I write has a clear agenda – sometimes, it’s peace, but other times it is to draw attention to flaws or elements of society that pain me. Its highly subjective. I’m okay with that, and it is one of the reasons I enjoy the medium of poetry. However, to me it is more than a subjective, artful writing form – it allows me to link ideas together in a way that can be misinterpreted, reinterpreted and read into in a myriad of different ways. People can interpret a poem the way they need. It may not be the most academic response, but I can’t remember the last time I read a truly academic poem and went away wanting to change the world. Very much free verse, although I like to experiment with rhyme and rhythm. I’m more interested in recurrent metaphors and imagery. I like the fact that there isn’t really any such thing as a perfect poem. It’s as much about meaning as form. 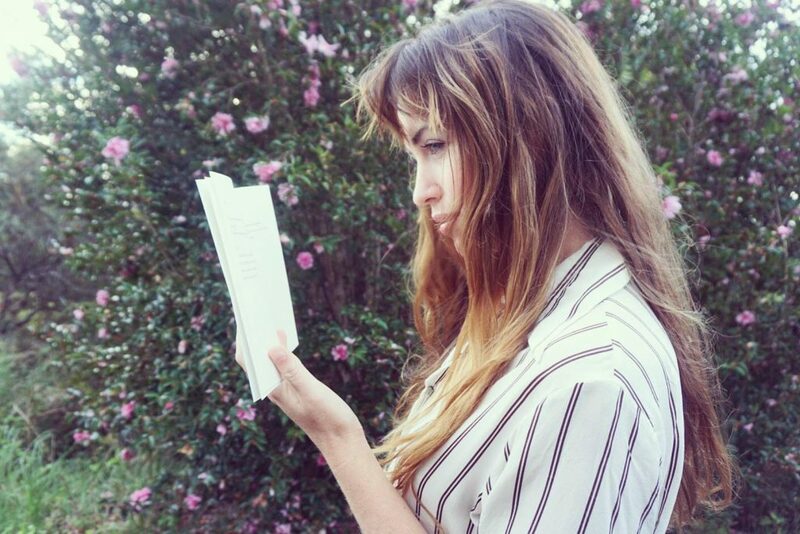 Who are your literary influences? Your life inspirations? Luka Lesson is a massive inspiration to me, his free-flowing verse that uses imagery to create meaning is so powerful, and totally accessible… and it’s hip-hop. Eminem and Bob Dylan are both literary inspirations to me, in the way they tie together human ideas. Most of my inspirations are not poets. You talk about The Bones arising out of dark times, what does that mean for you? Since I graduated uni I’ve experienced a number of deaths of people very dear to me which have devastated my family, and suffered a bit of a nervous breakdown myself due to personal circumstances. I’ve also lived closely with a family member afflicted with severe bipolar, and holding somebody back from the brink of suicide puts a lot of things into and out of perspective. Not everybody will relate to or understand The Bones, but I believe in exorcising dark ideas, putting them on a page and deciding if they are worthwhile. So while the book is about death and pain and grief, it is also very much about hope and power. Which is your favourite piece in the book? Burn it. All of it. Burn the hate and greed. Burn the selfishness and the carelessness. Burn the longing and the dissatisfaction and the Regret. On great wood pyres, burn the pyres too and the footings and let the sparks light your way as you run, don’t look back. Don’t look back at the melting debris or the greying ash, run until the smoke no longer clouds your vision and fresh grass is brushing your feet. Make a funeral of your distrust and apathy, and walk on. Tell us about the writing of the book – your process. It actually only took about 6 months. It was purely inspiration-based, I just couldn’t stop writing poetry. However this isn’t usual for me. I find that writing isn’t any different to musicianship or any other art form. Often people think writers have to be inspired, but it is actually just a matter of practice. Five years ago I couldn’t sit down and just know that I would be able to write, whereas now it comes naturally whenever I have the time. I fit it around teaching, and find that the stress of having to work around a full time job is very motivating! What is next in your writing? I’m currently working on a book manuscript about a physicist stuck inside his own mind. He journeys to the country and encounters his father’s death, which is really the centre point of his whole story. I believe that death marks epochal points in our lives by which we often centre ourselves. Often our first encounter of death is what pushes us to understand life more deeply and provide reasons to exist. 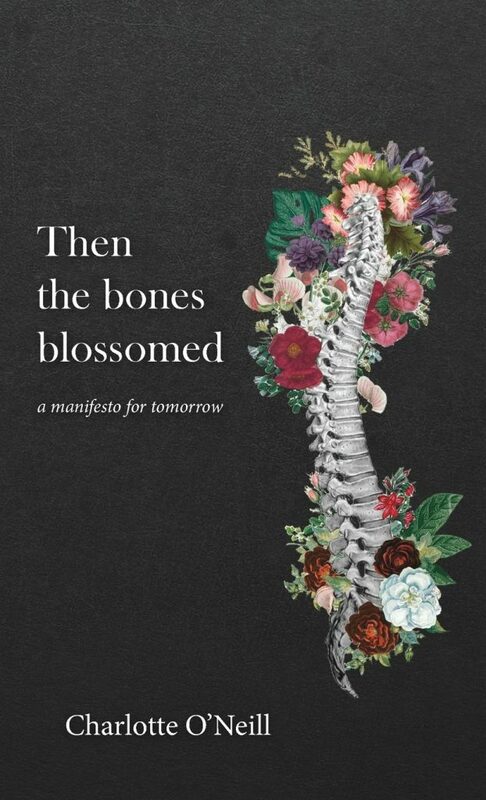 Where can we buy Then the bones blossomed? My publisher’s website, here http://www.vividpublishing.com.au/charlotte/ is the easiest place to order the book.